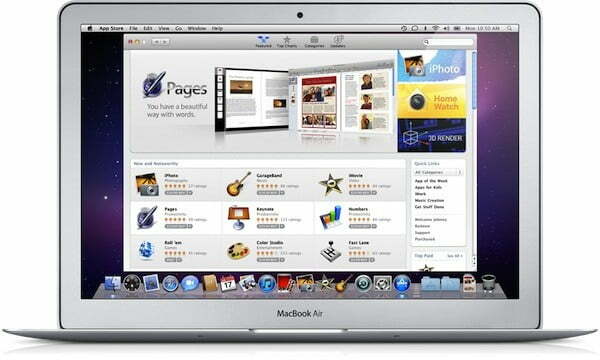 Apple has finally made a formal announcement regarding the Mac App Store, giving the go-ahead for a January 6 release. The Apple blogosphere has been buzzing with rumors about an early opening this month, but this official statement means Apple is on track to launch the service according to its own timeline set during the Back to Mac event this fall. “We hope to do the same for PC apps with the Mac App Store by making finding and buying PC apps easy and fun,” CEO Steve Jobs said in a press release. It will work exactly like the iOS App Store, and be available as a free download to Mac OS X Snow Leopard. When word started up that Apple wanted to open the Mac App Store before the holidays hit, insiders were saying that Jobs was requiring developers to submit completed apps – beta versions wouldn’t cut it. Hopefully, these requirements as well as “delayed” launch are going to result in a fine-tuned, glitch-free product. The Mac App Store is going to debut in 90 countries, and with such a far-reaching premiere, a smooth opening is exactly what Apple wants. January 6 will bring free as well as paid apps, and feature categories similar to the iOS app store. Google recently announced its Chrome Web Store during its press event December 7. We’ve gotten a chance to look at some of the apps, and it’s going to be interesting to watch how the rival app stores compare. Mozilla has also revealed plans to develop its own version, and it feels like a matter of time until every major browser jumps on this trend. Microsoft has even hinted at an app store in Windows 8, which we could get a peek at as easy at CES 2011.